Each one, teach one. That’s the motto Alexis La Broi, CTS, CMP, lives by and it’s served her well in life—especially in her pro AV career. Like many of us, La Broi didn’t know she could “have a career as an audiovisual person”; she focused on technical theater during her college years at Northwestern University, and was assigned a work-study position with Sound and Sight, the school’s audiovisual department at the Student Union Center. Working there for three years, she discovered her love for the industry. Working for PSAV at the Renaissance in Chicago, La Broi doubled down on her AV career, climbing the ladder from technician to assistant director, to director. In 1998, La Broi moved to Washington, DC to take a director position at the Hyatt Fair Lakes. Still residing in DC, La Broi moved through various positions with companies like Media Vision and AVI-SPL. She is currently a systems consultant at Avitecture, where she aims to deliver systems that enable clients to communicate, share information, lower energy costs, and improve organizational productivity. With decades of hotel experience, it should come as no surprise that La Broi is well known for her work with meeting planners; in fact, she’s even a member of her local chapter of Meeting Professionals International (MPI), something you don’t hear much in the AV industry. So, why does she do it? And building trust is something La Broi does easily. Her thoughtful, welcoming nature has been a guiding light for many in the industry. She’s quietly and confidently attracting a new type of #AVTweep into the fold. Pro AV has been openly struggling with finding diverse voices and La Broi is definitely doing her part to ensure everything we touch includes a wide range of opinions. 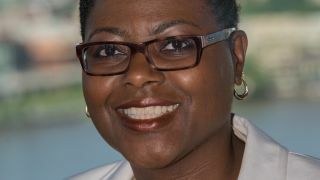 Being a voice for others is part of her larger personal goal of bringing more women and people of color into the industry, and getting them in influential positions, such as AVIXA’s leadership search committee (LSC) or board of directors (BOD); she is currently serving year two of a three-year term on the LSC. And being a mentor doesn’t mean a formal, scheduled sit-down with your elder, according to La Broi. It’s important to recognize that mentors can be younger than you, and in completely different industries. “Everybody has experiences, and if you’re willing to listen to what their experiences have been, then you might be able to figure out what your next move is going to be, what path you want to go on, by listening to how they’ve dealt with some challenge or adversity,” she stated. With her positive attitude toward gaining and being a mentor, La Broi’s face lights up when you ask her about Camp La Broi, her annual summer visits with her nieces and nephews. La Broi’s family is scattered throughout the Midwest, which is why she invites her nieces and nephews (sometimes up to six at a time!) to come spend a few weeks each summer in her and her husband’s DC-area home. She claims she does it for selfish reasons—she just wants to see them and wants them to know their Auntie Alexis— but, of course, there’s more to the story. During the day, the kids go to summer camp with local DC kids; on nights and weekends, they explore the area and draw on new involvements. “My whole thing is meeting new people and creating new opportunities and experiences, which opens up your world to things you didn’t know about,” said La Broi.